As a mom I’ve always tried to remember there’s a difference between reminding, and nagging. I think the same goes for giving and receiving any kind of advice or recommendation — it’s all in the delivery! 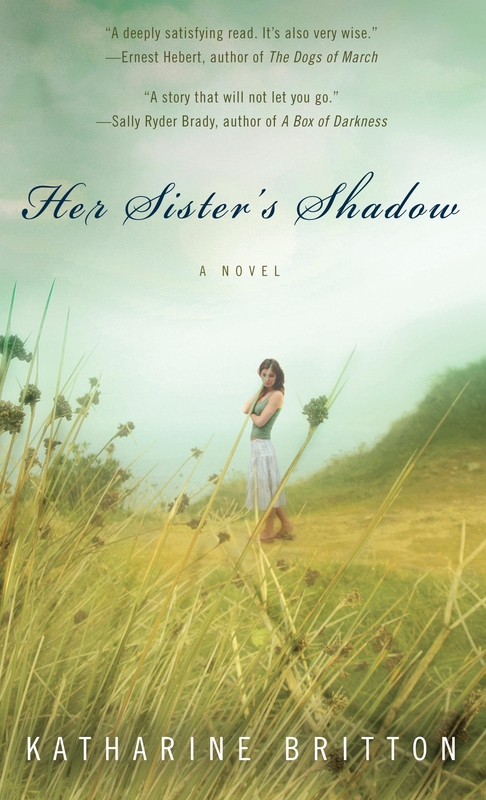 Today, women’s fiction author Katharine Britton (Have you read HER SISTER’S SHADOW? Alluring links below!) shares her own insights and experiences and then reminds us what we must do to indeed publish (or even keep publishing) our women’s fiction. We must actually start and finish our manuscripts and get them out there — because you know what there is more of than aspiring authors? People who want to be aspiring authors who haven’t even come that far. Please welcome Katharine to Women’s Fiction Writers! Do You Want To Be A Published Women’s Fiction Author? Get In Line! All my life I’ve loved books. Louisa May Alcott’s LITTLE WOMEN was a special favorite when I was young, along with Lucy Maud Montgomery’s ANNE OF GREEN GABLES series. I like books with a sense of place; books that explore relationships, friendships, love, loss, and redemption. TO KILL A MOCKINBIRD remains a perennial favorite. While I’ve always been an avid reader of books, it took me a long time to work up the courage to write one. I was convinced that I had been assigned to the reader’s line in life, not the writer’s line¾that the people who stood in that other line had a special dispensation that I, most certainly, did not have. I dabbled, tapping out what I called “descriptive narratives” on an old manual typewriter, did a little freelance writing, and even took a creative writing course at a local community college, where I very quickly discovered that I was not a short story writer. For me, writing a short story was like trying to get dressed in the front seat of a car. It simply did not offer me enough room. Having no idea how to write a novel — or, the real mystery, how to get one published — I never the less decided to take the plunge. I generated reams of character studies, drew up floor plans, created timelines, wrote scenes, and pages of dialogue. My characters, two sisters, were not reticent. They spoke freely about themselves, about one another, about their tragic lives. They simply would not get up off the couch and leave the house. I had no plot. After a few years, I abandoned the project, got married, built a house, bought a dog, focused on my career. In short, I moved on. But every time I read a novel, I became newly aware of that other line. I regarded the authors in that line with the same awe I do the people with Gold Cards at Hertz, those with access to the express lines at airports, and the efficient-looking people who breeze by me¾my cart piled high¾in the ten-items-or-less register at the grocery store. My line seemed slow and headed nowhere, which made me start to wonder if I was in a line at all. I enrolled in a Master’s program with a concentration in creative writing. There was no course on how to write a novel, but there was one on screenwriting, which seemed like fun (although I’d never even read a screenplay) until I learned that we were required to write a 120-page script in ten weeks. It didn’t seem possible, until I remembered my two garrulous sisters searching for a plot. Screenplays, it turns out, are almost all dialogue and action. Ten weeks later I had a script about two estranged sisters in late mid-life, who reunite in their childhood home on the South Shore of Boston. My professor loved it and sent it to his agent. Sadly, no one in Hollywood was interested, and the script went into the bottom drawer of my desk, but the process was thrilling. Thus emboldened, I managed to complete a new novel-length manuscript¾complete with plot, send it out, and find an agent. OK, the process took a little longer, and was a little more complicated than that, but the underlying message is not. If you don’t complete your manuscript, you will not get it published. If you don’t send it to agents, you will not find representation. I’m not saying it’s easy, but it is that simple. Twenty-five editors rejected that manuscript. While those rejections were flowing in, I retrieved the screenplay from the bottom desk drawer (and, eventually, put manuscript #1 in) and began to turn it into the novel I’d always thought it should be. It took me two years to write HER SISTER’S SHADOW. My agent sent it out, and the third editor who received it said, “Let’s talk.” After some revisions on my part (she wanted the characters younger and one of them nicer), my agent emailed me to say, “We have an offer.” Those four words¾not, “Will you marry me”¾are the four sweetest words this aspiring female novelist had ever heard. Two things were evident to me as I wrote those first two novel manuscripts: nobody knew I was writing them, and nobody cared. Oh, a few friends and family members were rooting for me, but even they didn’t invest too much enthusiasm because everyone knows that it’s impossible to get published these days, right? If you’re an aspiring author who’s thinking this way, look around this blog site, browse your local independent bookstore, go look at the number of books on Amazon. Hundreds of new titles are being published each year. Yours can be one of them. But only if you get your manuscript written and get it out there. It turns out there is no special dispensation to be a writer and there’s only one line. Your job is to make sure you’re standing in it. Katharine Britton has a Master’s degree in Creative Writing from Dartmouth College. 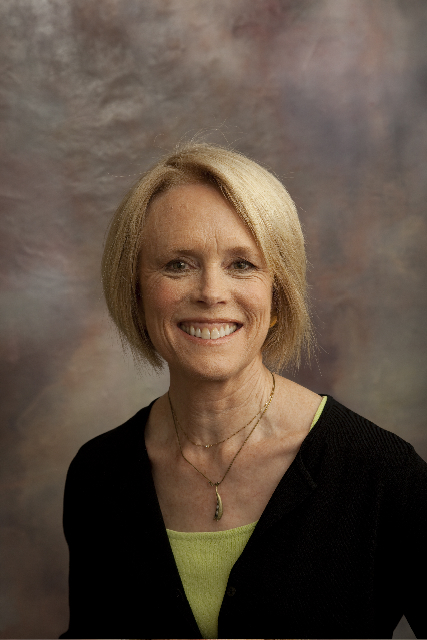 She has taught at Colby-Sawyer College and at The Writer’s Center. Her screenplay, Goodbye Don’t Mean Gone, was a Moondance Film Festival winner and a finalist in the New England Women in Film and Television contest. Katharine is a member of the League of Vermont Writers. When not at her desk, Katharine can often be found in her Norwich garden, waging a non-toxic war against the slugs, snails, deer, woodchucks, chipmunks, moles, voles, and beetles with whom she shares her yard. Katharine’s defense consists mainly of hand-wringing, after-the-fact. To read Chapter One of HER SISTER’S SHADOW, please visit Katharine’s website www.HerSistersShadow.com. You can view the HER SISTER’S SHADOW book trailer here. Katharine also has a blog and a Facebook page. « What More Could You Wish For Than An Author-Friend Who Wrote Fabulous Women's Fiction? Irony And A Book Review! What a great story…and excellent advice. Thank you, Katharine and Amy. Oh MY… this book sounds wonderful. Captivating trailer! I love your message of perseverance – and had to laugh at your comment about short-story writing. PERFECT analogy (and a sentiment with which I agree entirely!). My WIP also has a Lill(y) in it ;-). And I love how you’ve simplified the message about becoming published: you must have the manuscript COMPLETE first. Simple and true. Thanks, Melissa! Love the photos on your blog site. HSS is set on the coast and has lots of gardening/flowers throughout. My newest manuscript (waiting to hear…) is set on the coast of Maine. Stay tuned! Thank you, Katharine, for the compliment. I can’t wait to read your work, and the second ms sounds equally captivating! My main character in my current work in progress is a nursery owner/gardener! Katharine, your journey touches my heart, fuels my passion and shines light on the horizon. thanks for sharing and best wishes. Thanks! And best wishes to you, too, Jocosa. Your book looks fantastic, Katharine–almost as exciting as your own life story! My favorite line in this great post is the one comparing short story writing to trying to get dressed in a car–so true!! Yup, and I drive a Prius! Great book, Katharine! I read it on recommendation from Sheri de Grom, and loved it. I love your writing style, and look forward to more! Let us know when you get to the front of the line! ‘Her Sister’s Shadow’ – definitely one of the best books I’ve read this year and inquiring minds want to know what’s next for this talented author.